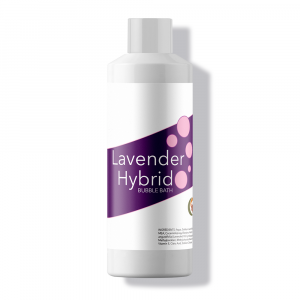 Home | Bath & Body | Why Isn’t Aromatherapy Accepted By Scientists? Why Isn’t Aromatherapy Accepted By Scientists? How do scientists decide what is accepted scientific fact and what isn’t? Why is alternative medicine not accepted by the whole science community? If we know that essential oils for hair can work wonders, why do people continue to question their validity as hair treatments? It’s important to explore how scientists come to their conclusions about medicine and other treatments, including aromatherapy. The connection of aromatherapy with the spirit is where scientists dispute its benefits. Where there are physical and psychological results, science can’t argue with the advantages of aromatherapy. Nevertheless, science notices symptoms and treats them. Meanwhile, alternative medicine takes a more holistic approach focusing on a specific cause rather than symptoms. This means that, in the eyes of mainstream science, a lot of the results of alternative medicine are based on conjecture and ‘luck’. Something that goes against any self-respecting scientist. With this in mind, let’s take a closer look at exactly what aromatherapy is, and the overlap between scientists and alternative medicine. Aromatherapy uses essential oils and natural plant extracts to heal. Practitioners of this art form believe that the scents of essential oils can help cure various ailments. 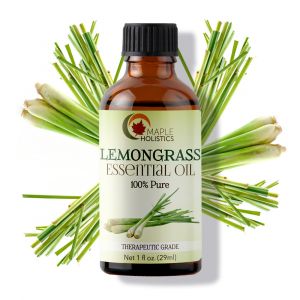 Essential oils include the concentrated hydrophobic liquid of plants such as Lavender, Lemongrass, Tea Tree, Eucalyptus and many more. This holistic approach combines psychology, physiology, and a touch of spirituality for a full-body healing experience. Due to the fusion of the medicinal approach with a more artistic form of therapy, it’s taken time for it to be accepted by the scientific world. In fact, the ancient traditions of India and China have used this treatment for centuries. Over the past decade, this knowledge entered the Western consciousness. Aromatherapy offers people a non-invasive cure to problems, ranging from depression to insomnia. Essential oils themselves are used either by inhalation or topical application. Inhaling oils (aka aromatherapy) stimulates your olfactory system which is a part of the brain directly connected to your limbic system. The limbic system is linked with your emotions, memory, stress and hormone balance, so it’s no surprise that smelling essential oils can have beneficial effects. Meanwhile, oils that are topically applied can be absorbed straight onto the affected area allowing for more direct results. Whatever the method, essential oil benefits should not be overlooked. Aromatherapy is great for relieving stress and reinvigorating the mind and body. There’s reason to believe that the idea of using scents for various benefits has been around since prehistoric times. Nevertheless, the French chemist Rene-Maurice Gattefosse (considered the father of modern aromatherapy) coined the term only 80 years ago. The practice is centuries-old, but its origins and history remain a mystery. Many ancient civilizations, including the Ancient Egyptian, Greek, Indian, and Chinese societies, used essential oils and natural plants for various treatments. The Greek physician Dioscorides wrote about the benefits of essential oils in his book De Materia Medica. Fast-forward to 1937, Rene-Maurice Gattefosse wrote a book discussing how essential oils helped heal a burn. From there Jean Valnet, a French surgeon who read Gattefosses’ book, pioneered the use of essential oils in modern medicine. Whichever way you look at it, essential oils have been used and explored for centuries, before any real “medicine” existed. This not only means that their uses have greatly evolved, but also gives them somewhat of leg to stand on in terms of validity. Nowadays, scientists are more openly conducting research trying to learn more about the aromatic effects of essential oils. The medical and scientific communities don’t always recognize aromatherapy because of the inconsistency inherent in the oils themselves. Aromatherapy uses a combination of essential oils, varying on a range of factors, including where the plant grew and the weather conditions. Because of these differences, the oil itself can vary from bottle to bottle. This type of variance means that it’s difficult to define as a “medicine”. When you take an aspirin, you take two identical portions of the medicine. This is not the case with essential oils. Therefore, aromatherapy is relegated to the world of alternative medicine. Alternative medicine is defined as practices that are not part of standard care. Because there is no concrete proof that each bottle of oil is equally potent, the FDA will not approve it. That being said, it’s important to note that just because essential oils aren’t recognized by the scientific community at large, doesn’t mean aromatherapy yields feeble results. There is an overlap between aromatherapy and alternative medicine in the sense that it’s not necessarily used as substitute for traditional medicine. The connection between the two puts it in the category of complementary medicine because it can be done alongside traditional medicine to produce results. So, now that we know what aromatherapy is, how exactly do we use it to reap the most benefits? 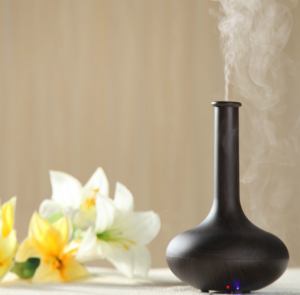 You can use aromatherapy in various different methods to reap results. Try it yourself to revitalize your mind and body. 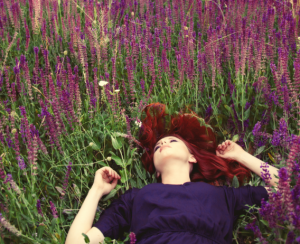 Here are 5 aromatherapy practices to bring into your life. Whether you’re looking to ease muscle pain, relax the mind or revitalize your senses, there’s an aromatherapy technique waiting for you. Take a whiff! A great way to get the most out of essential oils’ scents is through a diffuser. These machines heat up the water with the essential oil to create a scented steam that permeates the surrounding area. Diffusion is therefore one of the best ways to enjoy essential oils. Seeing as aromatherapy revolves primarily around the inhalation of essential oils, what better way to reap benefits than by concentrating some of these oils into the air around you? For instance, many people use a diffuser with Lavender oil to fill their homes with a calming, delicious scent that also yields wowing benefits. These devices are perfect for meditation or yoga and can even heal colds and alleviate breathing difficulty. Each essential oil contains its own unique benefits and therefore creates its own vibe. Let this machine do the trick to get your Zen on. What better way to make the most of essential oils than fusing both inhalation and topical treatment? Massage is a wholesome way to benefit from aromatherapy. Massage therapy alone is an extremely effective means to ease muscle pain, release tension, and decrease stress. The therapy is known to help lower your blood pressure, improve circulation and even help strengthen your immune system. When combined with an essential oil, the power duo can boost many of the benefits of massage. Regardless of the style of massage, whether deep tissue or Swedish, combining it with essential oils can gives a more holistic benefit. For example, many essential oils have anti-inflammatory benefits which help to ease muscle pain. Other essential oils, like Lavender and Rosemary, create a sense of calm. If you want to relieve your muscle soreness and ease tension in the body then heat therapy is a good place to start. It promotes the natural heating processes of the body by increasing oxygen flow and stimulating your sensory receptors. The physical benefits of heating pads combined with the psychological benefits of essential oils provide holistic pain relief. Next time you whip out the heating pads to soothe sore muscles or cramps, add a couple of drops of your favorite essential oil to the pad. Similar to the massage methods of aromatherapy, the healing powers of the heating pad receive significant help from the addition of the essential oils. The heat helps to soothe soreness while the essential oils assist in the soothing and also add a relaxing scent to the room. 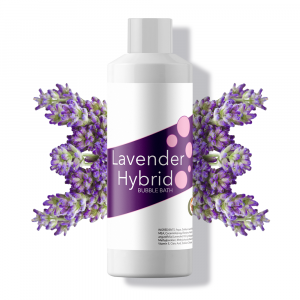 Let lavender soothe you to sleep. Sometimes, when you hit the hay, your thoughts can run out of control and keep you wide-eyed all night. Tossing and turning defies the purpose of our much-needed nighttime (or daytime!) beauty rest. While sleeping pills have addictive qualities despite their effectiveness. With this in mind, alternatives sleeping aids are something to be on the lookout for. Aromatherapy is often turned to as a natural sleep aid. This is all down to the holistic benefits of essential oils. Sprinkling a few drops of soothing essential oils, such as lavender oil, will work wonders for your sleeping capabilities. The calming scent will quiet any chaos in your mind to ease you into sleep. Rather than waking up throughout the night, the aroma will also lull you back to sleep to maintain a deep, restful night of sleep. If you’re not sure where to start with aromatherapy, then adding some essential oils into your bath is an ideal place to start. Not only is it potentially the easiest way to gain benefit from this holistic practice, but the warmth of the water also has the potential to help your skin more readily absorb the oils. That being said, because of this, it’s important to make sure that you’re not overdoing it with the oils and use an appropriate carrier oil. Unlike a bubble bath, you’ll need to pour a few drops off the essential oils once the water has finished running. Mixing an essential oil with a carrier oil and adding it to your bath creates a powerful combo. It works wonders on both the body and the mind. The essential oils will penetrate your skin to soothe tension or irritation, while the carrier oil moisturizes your skin. Your mind will simultaneously thank you, because you also inhale the essential oils while you relax in the tub. 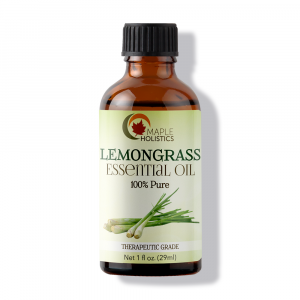 Thanks for stopping by here at Maple Holistics – check out our essential oils for hair care! 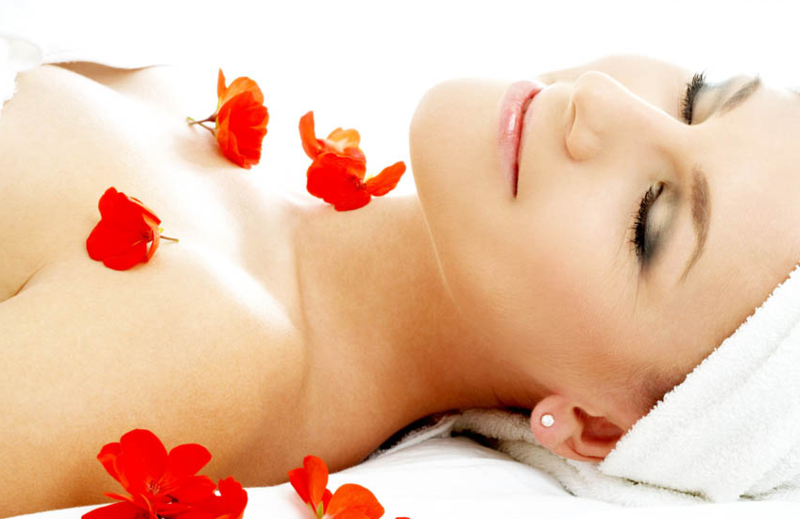 Aromatherapy is a popular form of alternative medicine. In fact, it’s been around for centuries to cure various ailments. Whether you need to invest in a diffuser or go buy yourself some quality essential oils for your bathtub, find the aromatic blend that works for you. Using the right oils can do everything from help you sleep better, increase circulation and ease breathing difficulties. The olfactory and limbic systems connection appears to be the most profound psychological benefit. From Greek physicians to French surgeons the exploration of aromatherapy within the scientific world has been researched for more years than modern medicine has existed. Because of the disparity between each bottle and the fact that the formulas are not ‘down to a science’ most scientists struggle to explain how the benefits can be so profound. Regardless, the fact that it’s not considered conventional science shouldn’t mean it’s overlooked. Go out and give these healing oils a try. It could be your saving grace, bringing serenity to your mind and body.